In a communication released on 2 January 2008, the French Ministry of Health asked population to use their mobile phone with caution. In line with the precautionary principle, the Ministry stated that as it is not possible to rule out risk of adverse effects for human health, moderate use of mobile phone is recommended. The Ministry did not acknowledged recent scientific results showing mobile phone harming effects such as development of cancer after long and recurrent use of the mobile phone. However, the issued warning is a promising starting point in the recognition of mobile phone hazardous health effects. Wifi use is already suspended in all Parisian libraries as it is suspected to have caused employees to faint and suffer from headaches. It is currently debated to suspend it in all public buildings such as schools. Furthermore, the WHO (World Health Organisation) is currently finalising a report on mobile phone’s effect on human health. The French government is said to be looking forward to reading the WHO Interphone report and also requested a report from French agency AFSSET concerning current state of the research in this area. The next step in the process of ensuring people’s safety is to acknowledge EMF dangers and to take action. Studies from all over the world are now released to pinpoint visible consequences of mobile phone use. Sleeping disorders are the first of a long series. 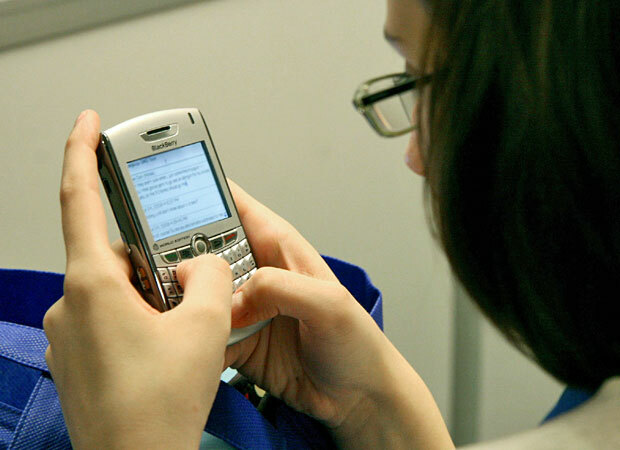 In case of high use of mobile by teenagers, they can develop later in life cancer and tumours. In light with these scientific results, the commercialisation of mobile phone for children triggered an outraged polemic. These phones were designed to target young children and look like toys but they still represent a danger for their health. As stated above, mobile phone effects may not be immediate but visible in the long term. Given that childhood period is a particularly vulnerable window of susceptibility, development may be at risk. It all the more shocked the population as these “toys” were first commercialised during Christmas time. The government is currently discussing the matter and also call on the parents to be cautious concerning mobile phones for children.